During the last few weeks of my son's spring semester at college, we found out that he would be playing baseball in New York for the summer. I started praying right away for the family that he would live with. When word came that he would be living with Shirley, a recent widow and one other player, I felt at peace knowing God had a plan. I started thinking about a quilt for her as soon as I met her knowing that I would want to give her a special gift. How do you thank someone who opens their home to a stranger? Who cares for and feeds your child? Who makes sure he has what he needs and waits up to see if he made it home safely? Who takes the time to pray for him and ask him about how he played that day? 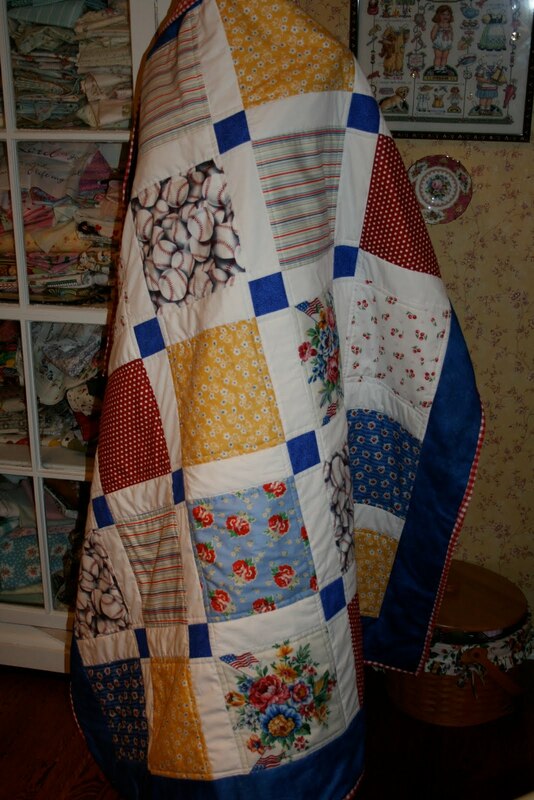 Shirley cried when she unrolled the quilt. She cried again when she hugged Taylor goodbye. We said we would keep in touch and let her know the results of his testing. I don't know if we'll ever see Shirley again, but I so thank the Lord for her and all she gave this summer. Making and giving gifts to others is my way of expressing my love and thankfulness for them. 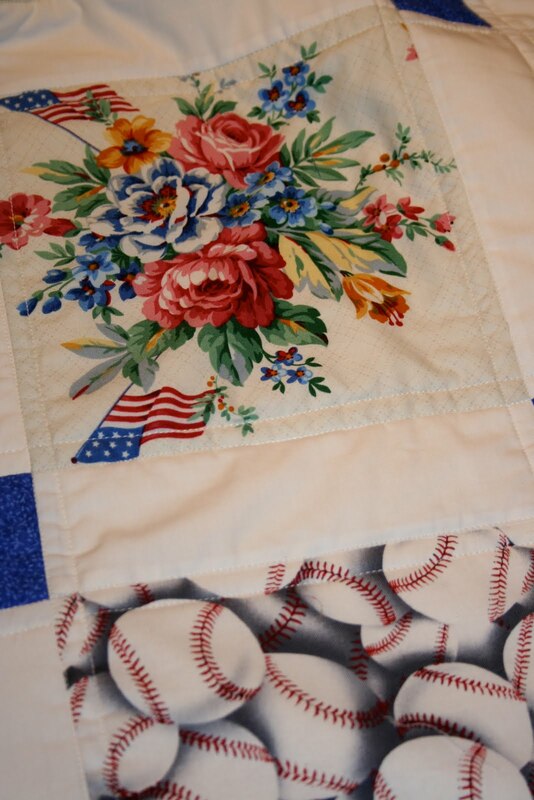 The label on the quilt read "To Shirley, from deep within a Mother's heart I thank you". What a sweet gift for Shirley. And what a wonderful gift she was to you and your son. I hope and pray he is doing okay. Glad you are back...you were missed. Oh Renee, I would cry if I were Shirley too! It is so beautiful and the work and love you put into it will be remembered every time she sees it:>) Praying for Taylor and hoping all is well. OMG, you are amazing and always come up with the perfect way to express yourself. 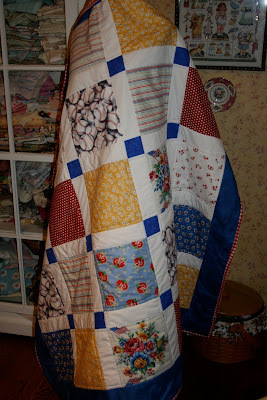 I am sure Shirley will treasure the beautiful quilt and memories with your son. What a sweet way to thank her! My prayers are with you for your son and father-in-law. Glad you are safely back home! What a very lovely gift! I am sure it will be treasured. Renee- what a beautiful person you are! And what a meaningful gift for Shirley. Opening up your life for a young man playing baseball is such an incredible time! My prayers are with Taylor and your family- I hope his tests come out o.k. What a beautiful quilt for a beautiful lady! How wonderful that God is watching out for your son in so many special ways. What a wonderful, beautiful and thoughtful gift.